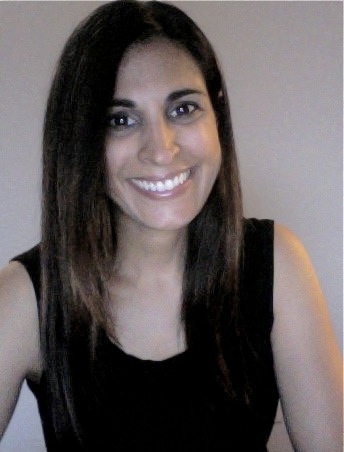 Dr. Vinita Mehta is a licensed clinical psychologist, writer, and media expert based in Washington, DC. In her clinical practice, she provides supportive and evidence-based treatments for adults and teens. Her specialties include depression, anxiety, life transitions, relationship issues, recovery from abuse, and building health and resilience. She has worked in a variety of settings, including McLean Hospital and Harvard Medical School, the Center for Educational and Psychological Services at Teachers College, Columbia University, the New York Psychoanalytic Society and Institute, the Postgraduate Center for Mental Health, and private practice. Dr. Mehta has over a dozen years of clinical experience and helping people achieve their goals. Dr. Mehta made her foray into media through a journalism fellowship sponsored by the American Association for the Advancement of Science, and was selected to work at NBC News. Upon completion of the program, she was hired by the organization to collaborate on her original psychology-based story ideas. She later held editorial positions at Discovery Studios and Nova at WGBH. In her television career, she established a solid record of generating highly-rated programming, with a focus on health and human behavior. Of note, she was the Science Editor of the acclaimed PBS special This Emotional Life. These films featured individuals struggling to overcome an array of challenges, including depression, phobias, and relationship conflicts. Dr. Mehta has provided expert commentary for various media outlets, including The New York Times, The Today Show, The Guardian, The Discovery Channel, Scientific American Mind, and Men’s Health. She also hosts the popular blog “Head Games” for Psychology Today, and has been interviewed about her work for the radio shows Take Care and America Now. In addition, she is writing a book on the science of romantic relationships. Dr. Mehta attended the Transitional Year Program at Brandeis University. Modeled after Upward Bound, the program provides academic development for individuals who lacked the resources to prepare for a rigorous undergraduate course of study. She was later accepted to the University, graduating with Highest Honors. She would go on to earn a master’s from Harvard University and a doctorate from Columbia University. Inspired by the power of knowledge, she enjoys introducing people to new ways of thinking about the world and themselves. Dr. Mehta is a dog lover and a casual jogger. Dr. Kathryn Campana-Scherer obtained her Ph.D. in Counseling Psychology from Virginia Commonwealth University, studying relationships, attachment, and forgiveness. She completed her doctoral internship at Grand Valley State University in Michigan, and a post-doctoral fellowship at the University of South Carolina. For seven years, she was a Senior Staff Psychologist and the Group Therapy Coordinator at the Counseling Center at Catholic University of America. She is currently involved in both clinical practice at Dr. Vinita Mehta & Associates, as well as clinical training as an instructor in the Clinical Psychology doctorate program at The Chicago School of Professional Psychology. Katie views healthy relationships as vital to mental health, and works with clients in individual and group therapies using an interpersonal/relational and strengths-based perspective. She is an ally and advocate for the LGBTQ+ communities, and provides supportive and affirmative counseling and therapy for people with diverse sexual orientations and gender identities. She frequently integrates cognitive-behavioral and mindfulness techniques into her work with anxiety and substance misuse. Areas of expertise include group therapy (e.g., interpersonal process, substance misuse and risk reduction, mindfulness, trauma, LGBTQ+ issues and support), gender and sexual identities, mood and anxiety disorders, phase of life and transition issues, relationship counseling and enrichment, women’s issues, and substance misuse. Katie enjoys travel, yoga, museums, and spending time with loved ones and her dog, Bowser. Dr. Nicole Sanford is a licensed clinical psychologist based in Washington, DC. She obtained her doctorate in psychology in clinical psychology with a specialization in forensics from The Chicago School of Professional Psychology in Chicago, Illinois. After training in college counseling, community mental health, and forensic settings, she completed her fellowship in a correctional setting where she remained. As the Chief Psychologist for the Women’s Justice Program in Chicago’s Cook County Jail, she oversaw the treatment division, specializing in trauma-informed and gender-responsive care. She also served as an adjunct professor in clinical and forensic psychology doctoral programs. Now employed by the U.S. Department of State, Dr. Sanford serves as Regional Clinical Psychologist currently in the Washington metropolitan area. In her clinical practice, Dr. Sanford utilizes an empowerment-based approach in which she and her clients discuss making meaning, finding purpose, and exercising freedom. Empowering clients to choose an authentic way of being-in-the-world, Dr. Sanford offers supportively challenging feedback to clients regarding choice and agency. Dr. Sanford has experience working with a diverse array of clinical presentations including depression, relationship issues, grief and loss, stress, and life transitions. She utilizes an existential approach with a feminist and multicultural understanding. In her free time, Dr. Sanford enjoys spending time with her family in Michigan, exploring the city with friends, reading, sailing, and watching movies.